Is Mosquito Control a Governmental or Public Responsibility? While, yes, we are paying tax money for such mosquito control programs, and, yes, without them there would be not only a lower quality of life due to higher mosquito nuisance, but more importantly due to increased public health issues from mosquito-borne diseases, more and more studies are showing that getting the citizens involved is actually proving to be more effective in controlling urban populations of mosquitoes. So, going back to the first question: Neighbors helping neighbors control mosquito problems? That’s exactly what Rutgers University in New Jersey has been investigating the last several years together with a team of highly motivated citizens from a community called University Park in Maryland. They have even gone a bit further and termed the collaboration Citizen Action through Science (Citizen AcTS). This method looks to reduce the typical reasons that cause most citizen science projects to fail, such as a lack of direct personal motivation and poor long-term participation with high attrition rates. By exploiting motivating factors such as the cultivation of strong relationships between the scientists, the volunteers, and their communities and an initial “buy-in”, Rutgers wants to improve initial adoption and long-term sustainability of such a project. The residents of University Park have been plagued with an intense population of invasive Aedes albopictus, the Asian tiger mosquito, which is not only an aggressive daytime biting mosquito but also can carry diseases such as dengue, chikungunya, and Zika. A mass-trapping intervention with the use of Biogents BG-GAT traps that target (gravid) female mosquitoes ready to lay their eggs was agreed upon between Rutgers and the University Park community. Such interventions with lethal oviposition traps similar to the BG-GAT have been proven to result in long-term reduction of a similar species Aedes aegypti, the yellow fever mosquito. Not only that, but such traps are simple to deploy and maintain, are relatively inexpensive while still allowing a real investment instilling personal interest, and can be quickly deployed early in the season to effectively target the mosquito population. How does the Citizen AcTS Project work? The “buy-in” model requires residents to purchase, deploy, and maintain the mosquito traps themselves which encourages active citizen involvement. After purchasing the traps, the residents were responsible for setting up and maintaining them throughout the season. Live trap demonstrations were performed by community leaders and supplemental educational materials and project information were made available through a dedicated website that was developed by residents of the community. 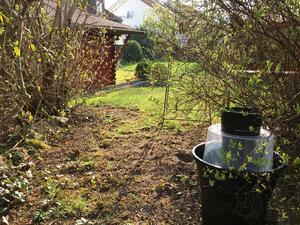 In addition, residents were well aware of the importance of removing water containers in their backyards as an additional means of mosquito control. All-in-all, it was a highly community-based program that was monitored by scientists from Rutgers University. While a total of 46% of the households (439 out of 954) purchased BG-GAT traps in the first year, the general results of the project showed an effective mosquito control program that was solely accomplished through citizens of a community with the help of scientific advisors and no governmental organization or monetary support. Areas with an 80% coverage of BG-GAT traps showed significant reductions of Aedes albopictus populations over the entire summer. The impact of the intervention was directly correlated with the degree of participation and coverage of traps which shows how important community involvement is. Overall satisfaction of the intervention was positive and all respondents planned to deploy the traps again in the following year. The success of such a citizen science model using simple traps such as the BG-GAT for urban mosquito control could really have an impact on invasive species such as Aedes aegypti and Aedes albopictus which breed primarily in small containers of water in residential yards. These breeding sites are difficult to access and treat by state or county professionals making control measures through governmental entities and public health authorities almost impossible. The success of the project is not only attributed to the significant reduction of the mosquito population through the mass-trapping intervention but also by bringing a community together in a joint effort in the fight against mosquitoes. Are you interrested in developing a Citizen Science Mosquito Control Project? Get in contact with us! We can give you some helpful advise and possibly offer some discount on the traps for the participants. 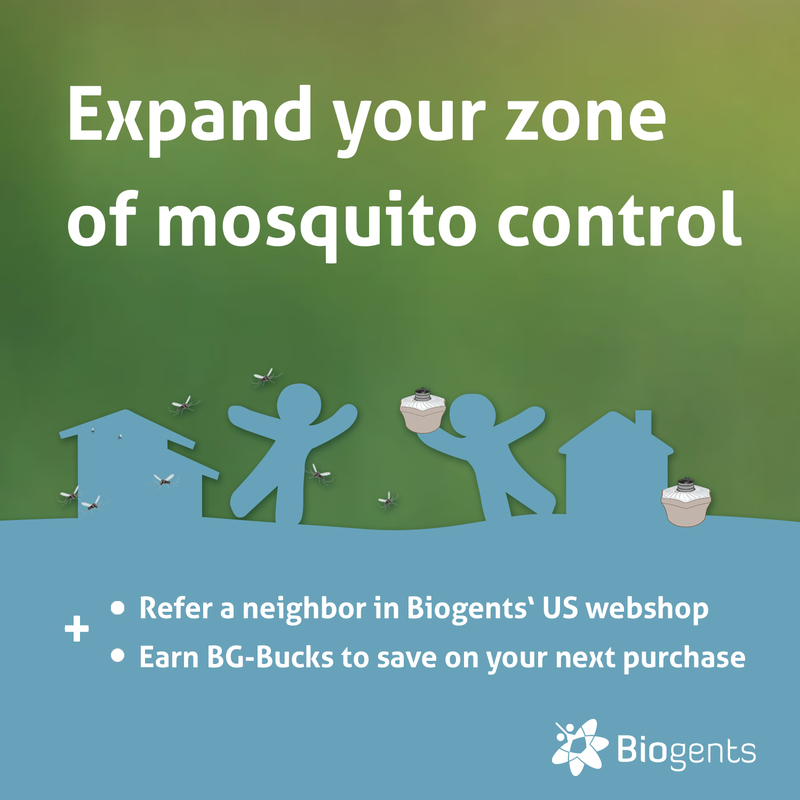 If you want to work on a smaller scale and simply mobilize your neighbors and expand your zone of mosquito control, check out our refer a neighbor program: When you refer a friend or neighbor, they get a 10% discount when they purchase a BG-Mosquitaire, a BG-Mosquitaire CO2, or a 2+1 bundle. You earn 1000 BG Bucks good for $10 off your next purchase.